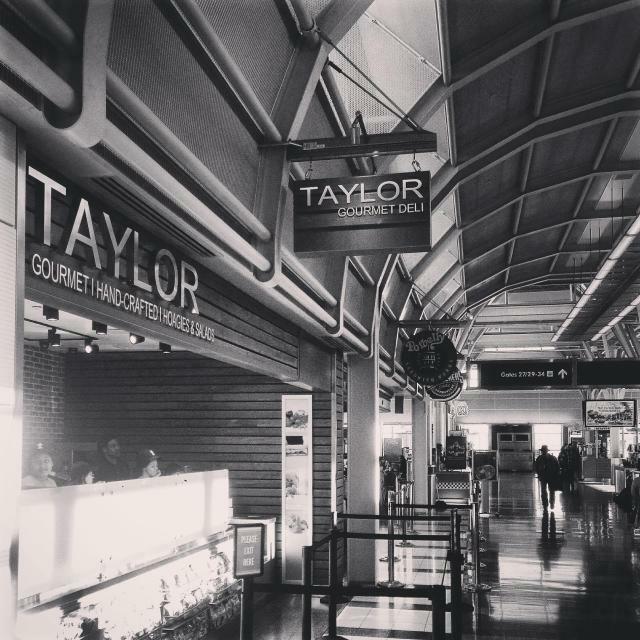 “Taylor Gourmet’s first airport location is officially open at Reagan National Airport. The shop will be open daily: 6am – 10pm. Located post-security, in Terminal B/C, between gates 23-34. Breakfast hoagies, salads & traditional hand-crafted Italian, Turkey, Roast Beef, Chicken Cutlet and Meatball Hoagies are now TSA approved for consumption @ 30 thousand feet!